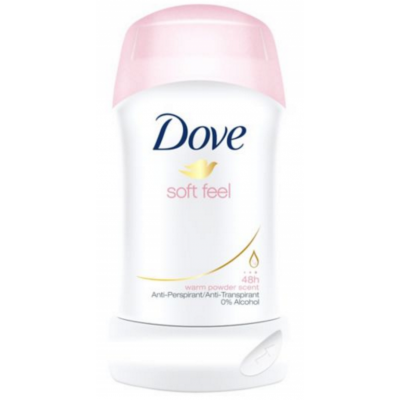 Dove's Soft Feel Deodorant Stick is an antiperspirant deodorant which provides 48 hours of effective protection against sweat and odor. The deodorant stick has a soft powder feel that leaves your underarms feeling irresistibly soft, and a comforting and delicate warm powdery scent. Dove's Soft Feel Deodorant Stick is therefore perfect for anyone who wants effective protection and care for their delicate underarm skin, without any overwhelming perfumes. The 40ml is size is perfect for traveling, so you can feel fresh on the go.